Lasers are essentially focused beams of light used to perform precise tasks. Within dentistry, lasers are ideal for detailed, minimally invasive and virtually painless procedures. Here at All Smiles Dental, PC we use the SL3 Diode Laser for procedures involving soft tissues to ensure patient comfort and quick recovery. The Diode Laser is particularly well suited for treating periodontal disease. Not only can the laser precisely remove diseased tissue, it also kills bacteria, sterilizes the treated area and promotes healing and collagen growth. Because the laser only targets soft-tissue surrounding teeth, implants and other hard structures are unaffected during the procedure. It is even possible to use lasers with only a topical anesthetic since they are incredibly gentle. 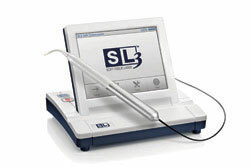 Special training is required to operate a Diode Laser for dental purposes. 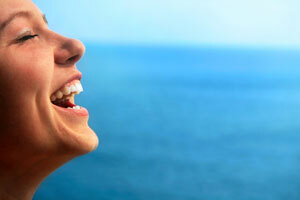 Here at All Smiles Dental we are fully certified and focused on providing safe, efficient care to each patient. If you would like to inquire if your procedure can be done with a laser, please speak with your dentist at your next appointment.